Long ago in a galaxy not THAT far away – i.e. 1999-2000 – I worked in tech PR1 and pitched people as speakers for TED talks2. That was when TED talks were only given in one place! Now they are everywhere! To illustrate his point he gathered up several musicians – David C. Clements, SOAK, Silhouette and the Wonder Villains – to write and perform a song. If you like it you can buy it, and all of the proceeds will go to the Northern Ireland Music Therapy Trust. 1 This was when the internet still kind of had training wheels and we were trying to convince print journalists to write about websites. 2 TED was “invitation only” then; my job was to demonstrate why clients ought to be invited. 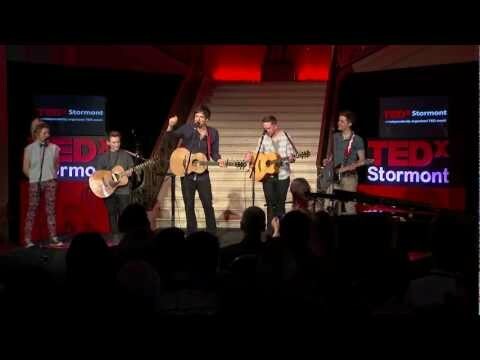 Tagged David C. Clements, Gary Lightbody, Silhouette, SOAK, TEDXStormont, video, Wonder Villains.